Everyone would like to be able to see the future or to be able to know that the choices they were making were good ones and were leading them to a life of joy and success. Some would like to be able to talk to a loved one that has passed on and didn’t have the hope or the tools to do so. But why do people seek out a psychic reading as opposed to turning to religion for comfort and reassurance? Perhaps they find that religion isn’t giving them the answers that they want within the time frame that they need it. Or maybe they enjoy the one-on-one communication as opposed to a community within a church or other religious area. Or perhaps they have no religious ties and believe in the core system behind psychic readings. They wish to connect to the spiritual realm in a nontraditional religious way and turn to this area of that world to gain insight. A psychic reading comes in many forms such as palm reading, astrology, tarot cards, telepathy, or divination and can be a beneficial addition to one’s life. Life is uncertain. One cannot avoid the unavoidable, and things happen that we never expected or even hoped for whether good or bad. It can be scary to think that none of us know the answer to what will happen in the very next second. To live each day with that kind of uncertainty and just blind hope that the decisions one makes are the correct ones can be a little unsettling. We wish, and we hope, but that is the best we can do. But, perhaps there is hope within a psychic reading. Whether one believes in this type of activity or not, it cannot be denied that many lives have benefited from this type of influence. People may look to a psychic reading in whatever form to provide much-needed validation, a sense of hope, or a reason to keep moving forward. A regular psychic reading can be a beneficial addition to a healthy spiritual life where positive energy can flow freely, and clients are guided towards a path of joy and success. But, it is important to note that one should make preparations to have a good and productive psychic reading. First, to prepare for a good psychic reading, make sure to plan what the goals are for the session and don’t expect to be disappointed. Go in with an open mind to keep the energy flowing, and that will help the experience to be a positive and productive one. Make sure to take a moment to calm down if nervous and ask the right questions. Use questions that make the reader provide detailed answers that are helpful and applicable to life. It can be wise to take notes, so that they may be referenced afterward for clarification and reaffirmation. This is especially important for a first session or a session about an extremely important or sensitive issue. Also, keep health in mind the day before a meeting. Get plenty of rest, don’t overconsume alcoholic beverages, and eat properly. That way, the body is also physically prepared for a productive reading which will, in turn, affect the mental preparation and the flow of energy. Lastly, enjoy the session and be open to what could come out of it. If there a few goals to be accomplished during the reading, write them down, bring them to the session, and do the best possible to get those answers. A kind and helpful psychic will care about how the reading affects the clients, and they want them to have a positive and productive experience. Follow the gut: it should feel pleasant and comfortable, even if nerves get in the way. It can help to validate the client’s beliefs whether to let them know that they’re doing the right thing or that the idea they had in their mind is a wise one. Someone may be confused about an upcoming choice or a past event, and a psychic reading can help bring a more precise analysis of the situation. The reader can help to unpack all of the confusion to bring about an organized result. There is a chance for joy and success in life, but there will always be ups and downs, and the psychic should be helpful, letting both the positives and the negatives be known to the client. Millions of people go for counseling to discuss, analyze, and express their feelings, hoping for some wise words and encouraging advice. A psychic reading can provide just that, with the bonuses of perhaps looking into the future or speaking to a loved one and resolving past issues. It is a place of freedom and honesty where someone can come into a session and have a person to bounce things off of, whether it’s choices, ideas, or feelings about a particular situation or event. Everyone is so busy, and life can become a cluttered and foggy mess. A psychic reading can help guide the discussion and show the client what he/she should be worrying about, spending their time on, and moving towards. It can also provide perspective. Things perhaps aren’t as bad as they seem or maybe something is not as good or as beneficial as it appears. A psychic can assist in helping to weigh the possibilities of a significant decision or a future choice to provide an opening for the likelihood of success. Because of life’s uncertainty, people want to They want to be aware of what will or may happen, so that they can prepare and react in the best possible way or make the best possible choice. But, here is a warning: It is possible to get a wrong psychic reading done by a false psychic. 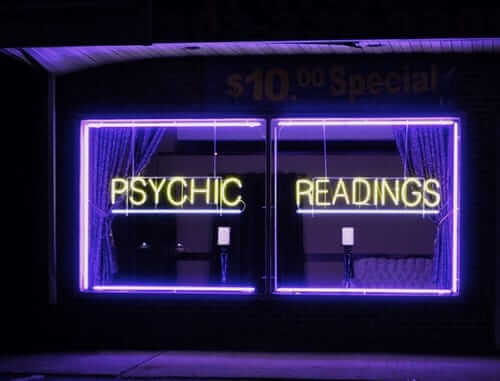 There are plenty of people out there, ready to make a fast buck and willing to dupe people into giving them money for phony psychic readings. Do not be fooled! A fake psychic will ask for the client’s star sign, date of birth, country or city of origin, etc. They will make extreme promises which in turn mean higher and higher prices. They will pester the client with questions to gain as much information as possible to do a plausible reading. They will also try to hook the client into getting more and more readings by providing answers that are what the client wants to hear and are not necessarily the truth. They do not care about the client, but they care about money and advancement. A genuine psychic will not use these tricks. They do not need loads of information to provide a good reading, and instead of pestering the client with questions, they will provide answers. Genuine readers will be honest and that they care but also will be professional and provide correct solutions to their clients whether good or bad. They will not pressure the client to keep making multiple repeated appointments. A reading every 6 to 12 months will be suggested. Keep these things in mind before heading for a psychic reading. It can be extremely beneficial and can make a difference, but it is a delicate area of life and should not be taken lightly. Research should be done to find a reliable psychic, and the client should prepare for what kind of reading they would like to have to gain the most from a session. Life can be unpredictable, but it doesn’t have to be traversed alone. A psychic reading can provide hope, validation, and perspective on the future and its ups and downs. Previous Horoscope 2019 – Free Astrology Predictions!